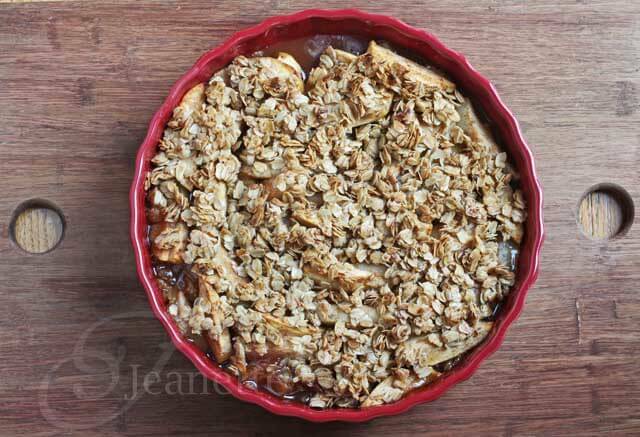 Gluten-Free Pear and Apple Crisp is the perfect Fall or Winter dessert. This version uses oats and olive oil in the crisp topping for a healthy and delicious treat. 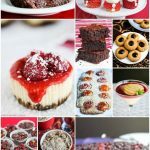 Last winter, my sister forwarded me an article from NPR featuring gluten-free desserts, and I’ve kept it tucked in my pile of recipes to try. 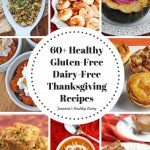 One of the recipes caught my eye in particular – the Gluten-Free Pear Apple Crisp. Every fall, I make Apple Crisp and it’s one of my family’s traditions as a way to welcome the cooler weather. 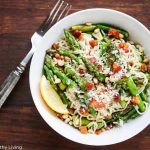 However, after my youngest was put on a gluten-free diet, I’ve had to concoct different ways to make this family favorite. This Pear Apple Crisp recipe is not only gluten-free, but it’s also dairy-free. In place of butter in the crisp topping, olive oil is used (which has the same amount of calories, but is cholesterol free, so heart healthy). 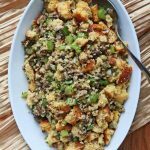 The topping is also not overly sweet and it’s 100% whole grain using simply rolled oats. This week, a group of bloggers is featuring Pears as a Power Food. 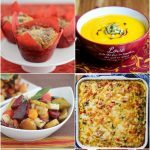 This weekly food blogging group features a different Power Food each week based on the book Power Foods: 150 delicious recipes with 38 Healthiest Ingredients from the editors of Martha Stewart’s Whole Living Magazine. Power Foods are foods that are outstanding in the amounts of vitamins, minerals, phytonutrients, essential fatty acids, fiber and more, that help fight disease and promote good health. So what makes Pears a Power Food? Did you know that a medium pear has nearly 6 grams of fiber? That’s 22% of your daily requirement for fiber. I’d never guess that from the juicy flesh. Pears are also good sources of vitamin C, vitamin K and potassium. There are so many varieties of pears to choose from – crunchy Bosc pears, juicy Bartlett and Comice pears, small Forelle and Seckel pears. Try eating them as is, poaching them, steaming them, or baking them as in this Crisp recipe. In a large mixing bowl, toss together Crisp Filling ingredients. Spoon into a pie dish or 8" squash dish. In a medium bowl, toss together Crisp Topping ingredients. Spoon on top of Crisp Filling. Bake for 1 hour until fruit is cooked through and topping is lightly browned. I can’t be trusted around warm apple crisp. Looks perfect! I have had to step away from the dessert cart given my recent blood sugar/cholesterol issues. However, this looks like something I can have a bite or two of and not feel guilty. There’s something about baked pear and apples that just hit all the right buttons. SO beautiful Jeanette. I have apples, now to get some pears. I really wish I could get myself to like pears more! But there’s something about their texture that I just can’t get behind. Nonetheless, this crisp sounds super tasty!! Super healthy and looks like this one is more crispy . This would be comforting on a cold fall day! This is really a healthy and delightful dessert. There’s certainly nothing to feel guilty and yet it’s very satisfying! 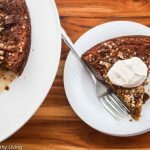 This dessert has everything: ease to make it, nice texture and flavor, quick cooking time, and no quilt involved. i’ve been searching for a great apple crisp recipe and I think I found it. Plus you have pears in this one and I can’t resist! Thanks for sharing the recipe, Jeanette! What a wonderful way to feature pears! 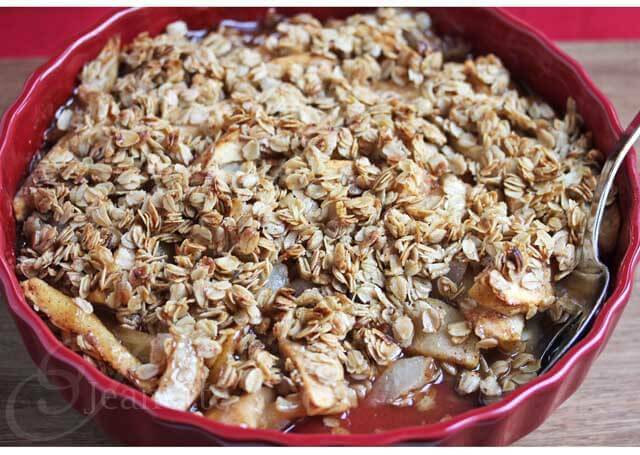 Love that in addition to being gluten free, this pear apple crisp is dairy free too! I’ve bookmarked it to try soon. Thanks, Jeanette! Thanks everyone for your comments! Sorry, just catching up after Hurricane Sandy. I’d never tried combining apples and pears in a crisp and I have to say it was a nice variation. The topping on this crisp is nice and light too. Just made this for dessert last evening. Amazing!! The whole house smelled wonderful from the apples and pears baking. The topping was nice and crunchy which coupled nicely with the delishousness of the warm apples and pears. Each bite was a delight! Hi Linda – thank you so much for your feedback. So glad you all enjoyed this. I love hearing from people who try my recipes and let me know how they turn out. Tammy – you should be able to use honey instead of maple syrup. Hi Julie, so glad you found a recipe that worked for your son’s girlfriend. I know it must have meant a lot to both your son and his girlfriend that you went out of your way to make something she could enjoy. 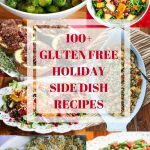 Most of the recipes on my blog are gluten-free now and dairy-free adaptable. For dairy-free baking, I use olive oil or coconut oil (coconut oil is heavier than olive oil) whenever melted butter is called for, and Earth Balance Buttery Sticks in place of butter. For milk substitutes, there are many options – almond, coconut, rice, hemp, soy. We’ve never tried the rice ice cream, but we have bought coconut ice cream and it’s really good too. If I can be of help converting a favorite recipe, please let me know. 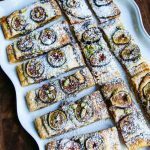 Thanks so much for subscribing to my newsletter – happy cooking! 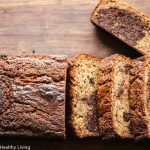 I made this for a gluten-free family I know and then made another for us to try – it was pretty good! I was concerned that the topping would be too dry and tasteless without flour and butter but it crisped up and tasted nice and sweet. I loved all the spices and dark fruity flavor in the filling, too. Another commenter mentioned it made a light dessert – I also enjoyed it as a hearty breakfast with yogurt on top! With maple syrup and olive oil I feel much better about serving it up as a meal. Thanks Jeannette, I’ll definitely come back to this one! Lise, thanks for trying this recipe and letting me know how it turned out. 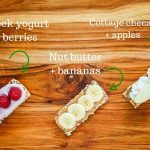 It’s definitely lighter than the typical crisp, so it would make a nice breakfast treat – love the idea of yogurt on top!